You found us! The #1 place for Party Favors, Personalized Jewelry, Name Bracelets, Personalized Gifts, & Personalized party favors. WE'RE A TOP 300 ETSY SHOP! We also offer Hypoallergenic earrings, medical alert and phone number ID. 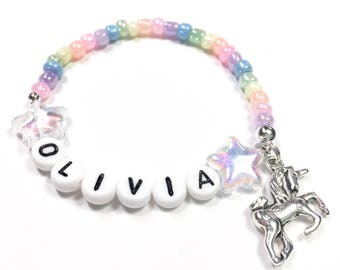 Stargazinglily is the #1 shop for kids name bracelet party favors. - via CraftCount. ☀ εїз ✿ ♥ Need PARTY FAVORS in a RUSH? Contact us, we're happy to work with you. NO rush fees here! Read on for more info on turnaround times, shipping fees, international orders and coupon codes. 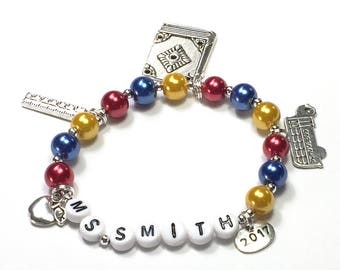 ☀ εїз ✿ ♥ You'll find personalized party favor bracelets, charm bracelets, big sister little sister gifts, best friend bracelets, teacher gifts. 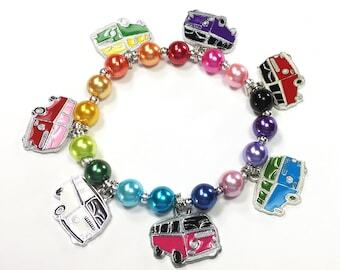 As well as many activity themed bracelets like dance, cheerleading, gymnastics, figure skating, hockey, baseball, softball, football, soccer, theater, music, photography, rollerskating, horseback riding. We have lots of little girl princess jewelry too. Need something for boys? Checkout all of our boy bracelet options as well as zipper pulls. We also have a line of wedding jewelry for flower girls, bridesmaids, and your maid of honor. Looking for something seasonal? We have themed jewelry for most holidays. Stocking stuffers, party favor bracelets, class room parties, valentine parties, & luau bracelets. © 2018 All products, photography, graphics, text and copy are the property of Stargazinglily, LLC. Visit the Stargazinglily Facebook Fan Page for occasional coupon codes. You will also have a chance to be included in Giveaways, Sales, and New Product Info!! Canadian shipments via 1st class have been taking 1-5 weeks depending on location. Priority Shipping has been taking 6-20 days. Please contact us before ordering and we will get you set up with the proper shipping. You NAME it!! All of it in fact. You pick the name and color scheme starting at just $5.00!! All items always come individually packaged and ready for giving. Convo me for more info on volume discounts. Step 1) purchase bracelet in the style desired, 1 for each one you want personalized. Step 2) include, PERSONALIZATION info, age of the recipient, (for sizing) and customization info in the "message to seller" upon checkout. *NOTE: There is just one message to seller box. So all info will go in that one box. Receive a free gift with any PARTY PACK of personalized bracelets! What's a Party Pack? Any order of 10+ personalized bracelets with gift packaging for PARTY FAVORS will receive a free gift! Convo me for more info or to set up your Special Order of 10 or more. Didn't receive your item as expected or requested? Please contact us before leaving neutral or negative feedback. Your satisfaction is our #1 priority. Send us a message, we're happy to work with you. My granddaughter loves everything pink, and this bracelet was perfect! She wore it all day Easter after receiving it in her Easter basket. Beautifully made and prompt shipping. So cute with the butterflies. My granddaughter loved it! Thanks, too, for the prompt shipping and getting it here so that it could be included in her Easter basket. Tree of Life magnet set. See listing for more detailed info. Brand new and limited! Only 3 available. Every order comes specially packaged and ready for giving. We love customer photos! Send us yours! We have lots of options for boys too!! If jewelry isn't your thing, we have lots of other personalized gifts to choose from. Are you purchasing an extra special gift? Upgrade to gift box packaging! Personalized Gifts. Welcome to Stargazinglily, Your #1 place for kids jewelry and personalized party favors. Personalized Gifts. 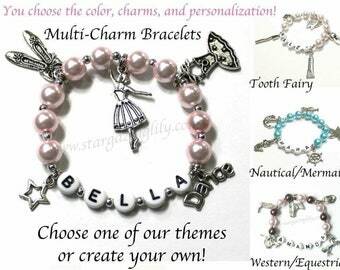 Welcome to Stargazinglily, your #1 place for kids jewelry, name bracelets and personalized party favors. We welcome custom orders and would love to work with you on a custom piece for your party. We have names bracelets, medical alert, phone number bracelets, and lots for boys too! You will also find a nice selection of knitting and crochet supplies, gifts, and tools. We were recently featured in Vogue Knitting. Read our press release below. Back in 2006, when Kristin Roof started Stargazinglily, she was hoping to make some extra money for her family. Eight years later, she beat the odds of success, even though half of small businesses fail each year. Also, she would now be providing full-time employment for herself, her husband and partner, Dave, and a number of other part-time contractors. Stargazinglily had one of their products featured in Vogue Knitting’s annual special edition. The recently-released special edition focused on crochet. 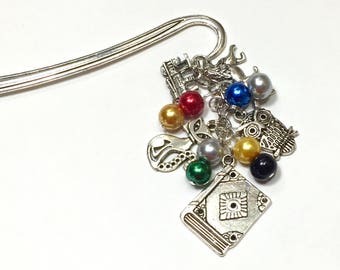 The Roofs’ product is a specialty crochet stitch marker that caught the attention of the writers at the top magazine in the world for knitting enthusiasts. According to Kristin, she was both surprised and thrilled when Vogue Knitting contacted her to let her know that one of her items was selected for inclusion in the magazine. This business is no hobby for the family. Stargazinglily has seen significant growth over the past few years and now offers more than 600 different items in their online store and has processed more than 20,000 orders from customers across the globe. Customers, who rate them with five stars, have submitted more than 5,000 reviews raving about excellent customer support, quality items, good pricing and an excellent delivery record. All of this hard work and attention to customer relations has placed Stargazinglily at number 13 for all accessories sellers on the popular e-commerce website Etsy. For handmade accessories, they are the number one selling shop out of Etsy’s approximately 500,000 shops. Many stories cover how many unemployed people have left the labor market as uncounted jobless. This business is a prime example of a new class of entrepreneur making their way on the internet with a great idea, hard work and dedication to success. For all of by buyers. Your information is not used for my personal use in any way. I do not sell your information to a 3rd party with exception of what Etsy obtains from your with your account. I will only use the information in collect via your order to fill your order, ship your order, and contact you about that order. GDPR - Compliant Policy: For all of by buyers. Your information is not used for my personal use in any way. I do not sell your information to a 3rd party with exception of what Etsy obtains from your with your account. I will only use the information in collect via your order to fill your order, ship your order, and contact you about that order.